synthetic ingredients and no artificial colors or fragrance. 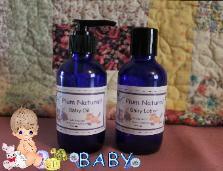 Our Baby Oil is all natural as well as our Foaming Baby Wash and Powder. Organic Sunflower Oil, Shea Butter, Oats. from individuals and do not guarantee or imply the same results. 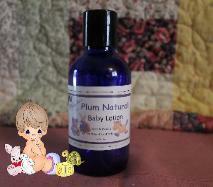 Our Baby Lotion is made with organic coconut oil, rice bran oil, jojoba oil and rose geranium, no artificial colors or fragrance oils and harsh chemicals. 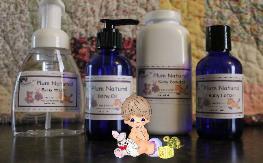 Our baby lotion and baby oil is packaged in a BPA free, blue or black PET bottle with a squeeze top lid. 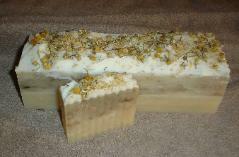 has a soothing affect on eczema and psoriasis. Products that contain water must have some kind of preservative. Oil products like body butters and baby oil do not need a preservative as bacteria will not grow in the oil. 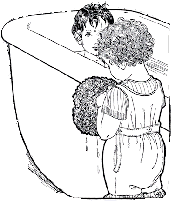 It will grow in water, therefore all products that contain water must have a preservative. The preservative that we use is NeoDefend and is classified as organic. wash is made to order and should be good for up to one year from date of purchase. 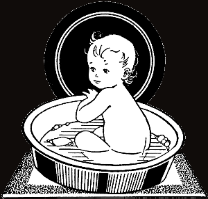 The baby wash is not tearless so avoid getting soap in babies eyes. 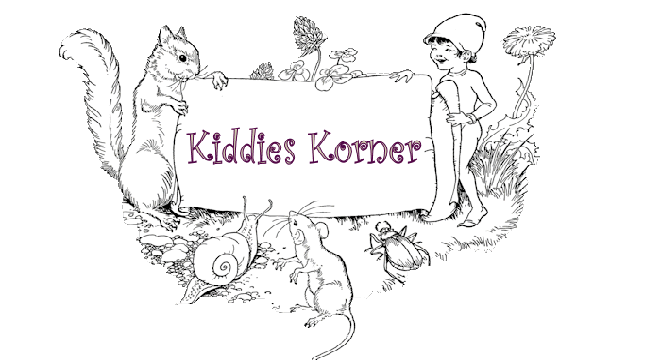 Handmade all natural Baby Powder.